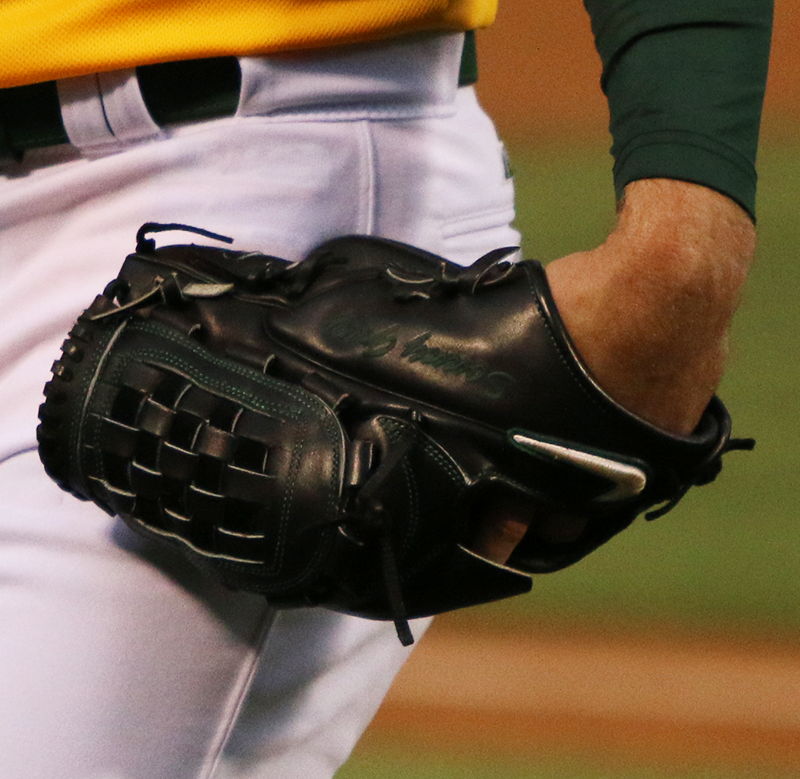 Sonny Gray rocks a Nike glove that could be a SHA|DO with a basket web, but there’s nothing else out there like it. If anybody has info on this one, let us know in the comments. 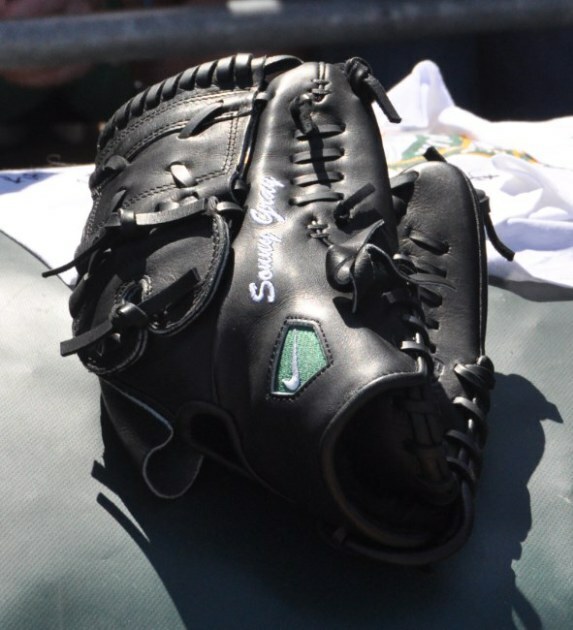 We added an image of a different Nike that Gray was working in during Spring Training with a two-piece web. 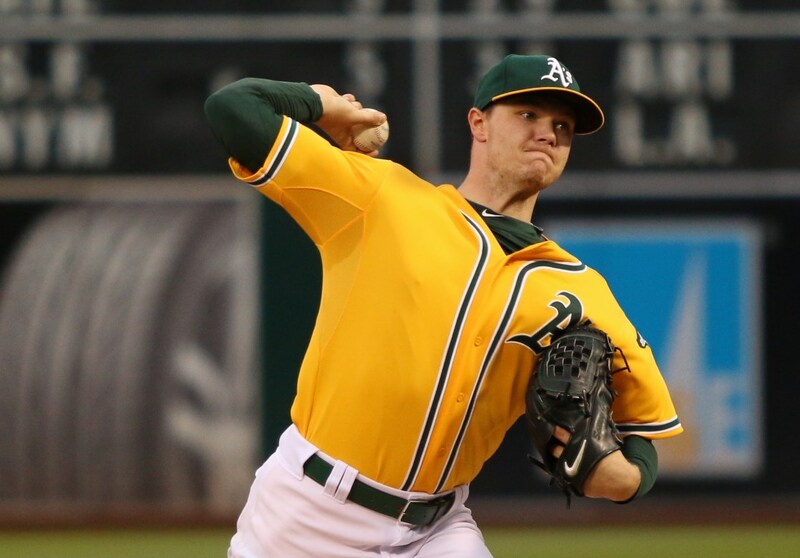 Categories: Sonny Gray, Gear, Glove, Pitcher, Oakland Athletics.